The Crab Salad was not very tidy and I will certainly plate it up better next time but it was very popular with out Guests. 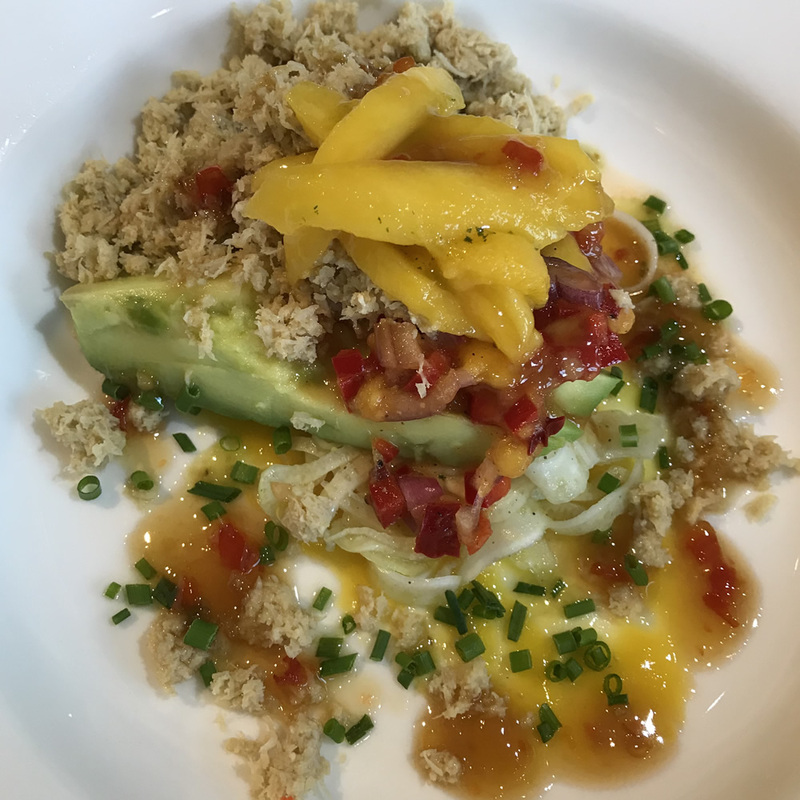 Mango Puree, Crab, Mango Salsa, Avocado and Sesame and Chilli Dressing. It was very popular indeed. Honestly the Schnitzel is always popular and really succulent and tasty to eat but it needs a lot of refining. When trimming the Loin remove everything and only work with the eye meat. One that are battered out and then paned then are quite large and this needs to be considered.Very nice Potato Salad although Jersey Royal’s would have been better. Lemon Tart with fresh Raspberries and sweet Chantilly Cream. Served with Lemon Curd Ice Cream too.